By Rean in Startups. Updated on July 26, 2016 . The road to success sure is long, and many people think that having their own business is the key, a shortcut. True, but it’s one of the most difficult paths to take, especially when you don’t have enough experience and resources to use. Thankfully, there are entrepreneurs out there who willingly spend some of their time typing away on their blogs to provide guides, tips and useful resources to people who have dreams. If you’re wondering about which business-related blogs to read, I’ve put together 14 blogs for the budding entrepreneur. From startup-based knowledge to marketing tips, you’ll find plenty of good advice to help you along. 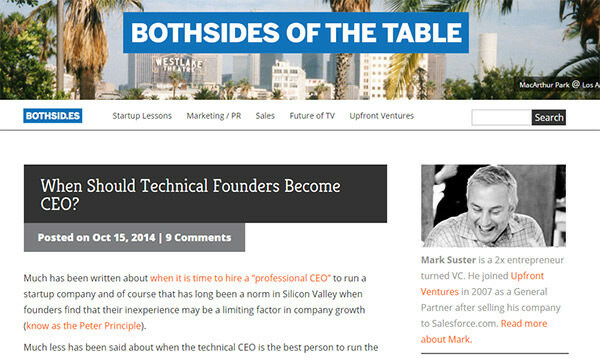 If you are looking for an honest take of what it’s like to enter the world of entrepreneurship, you need to read Both Sides of the Table by Mark Suster. He is the American entrepreneur behind Koral and Salesforce.com. He is also a prominent blogger about startups where he regularly posts about startup fundraising, leadership, marketing, and even sales – a gem that everyone who desires to enter the entrepreneurial scene should spend some time reading. If you are hard into solid data and case studies, along with a personal take of what’s happening in the entrepreneurial world, head to Numerate Choir and take a look at the in-depth articles by Mike Greenfield. Numerate Choir focuses on tech startups. Articles about the startup scene in the Silicon Valley are aplenty, along with case studies and discussions that will prove practical to data-driven entrepreneurs. 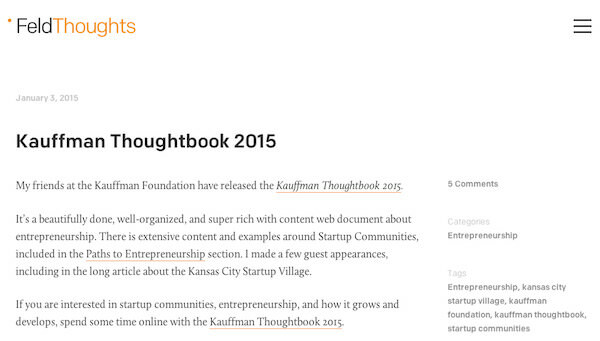 Feld Thoughts is run by Brad Feld, a managing director of the Foundry Group. He also invests in software and Internet companies in the US – he is the guy you should listen to if you are aiming to build an Internet company. Brad Feld regularly publishes articles regarding entrepreneurship, technology, education, productivity, and just about anything that might prove useful to “lost” souls. Reading Feld Thoughts gives the same vibe as listening to a mentor who knows how to accomplish things. Does the name Noah Kagan ring a bell? Noah Kagan is the founder of AppSumo, a daily-deals website which has over 700,000 subscribers. One of his babies is OkDork, his personal blog where he teaches curious and avid readers how to make it big by building their own businesses. You will find tips from marketing, social media, leadership, and startup tips on OkDork, written by the man himself on how to be a true entrepreneur. Groove is a business that help their clients through their management service. It removes all the clutter that management services offer and simplifies how customer support should be done. 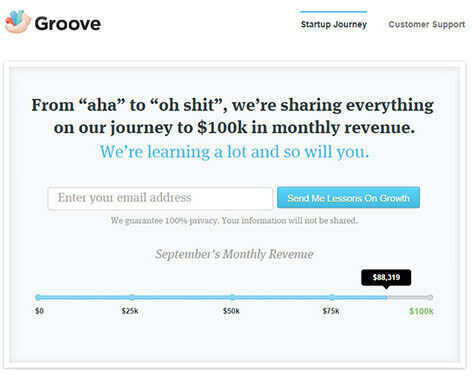 On another note, GrooveHQ publishes the things they’re doing in order to reach their goal of $100,000 monthly. This blog is important because companies who disclose their methods are rare. And most certainly you can learn from their successes as well as their mistakes. 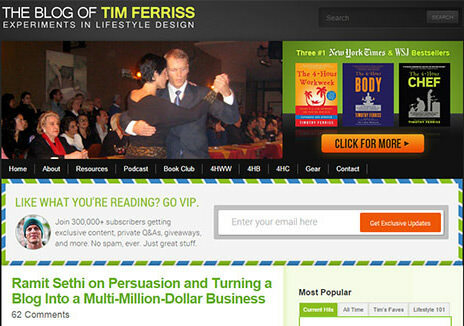 The man behind 4-Hour Workweek is Tim Ferris, who was included in Forbes Magazine’s “Names You Need To Know”. The 4-Hour Workweek blog is an entrepreneur’s self-help blog that can help increase productivity and give an insider’s perspective on how the real world operates. It promotes more time for yourself and rejects the idea of overworking – this coming from someone who experienced 14-hour working days. If the lifestyle you want is one where you get to chill most of the time, this blog is definitely for you. Here is another favorite like OkDork. Need Want is a company that produces stuff that makes living easier and smarter. And yes, you guessed it, they share their secrets on their blog. From ideas to conception, profit and loss, marketing techniques, how they built a product, secrets and common tips, these details are all in their blog. This is a true gem that you should definitely bookmark. Entrepreneurship is a lifestyle of its own. With that, you just don’t spend your money on anything you want, no, you have to live a frugal life – especially when you are just starting! 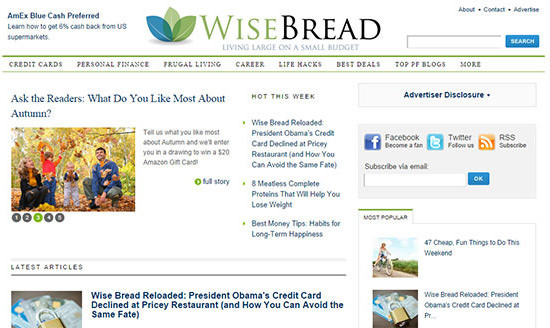 Wise Bread has a lot of writers and entrepreneurs who share their lifestyle and personal finance tips. They publish a lot of articles about how to save money, how to cut spending, how to get free stuff (or for a lower price), and more. 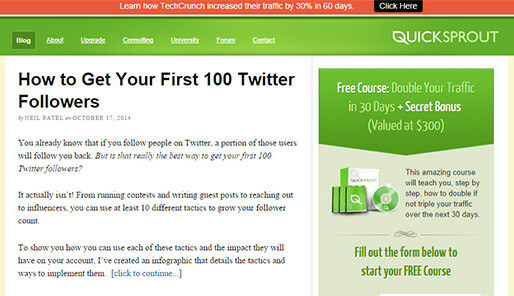 Quick Sprout is the place where Neil Patel shares his marketing magic. Neil Patel is the co-founder of KISSmetrics, Crazy Egg, and Hello Bar which are big names when it comes to online marketing and data gathering. If you are into learning what works and what doesn’t work in the marketing world, you should give Quick Sprout a visit. You will learn tremendous marketing techniques from simple social media marketing, email list building, down to analyzing trends and data. 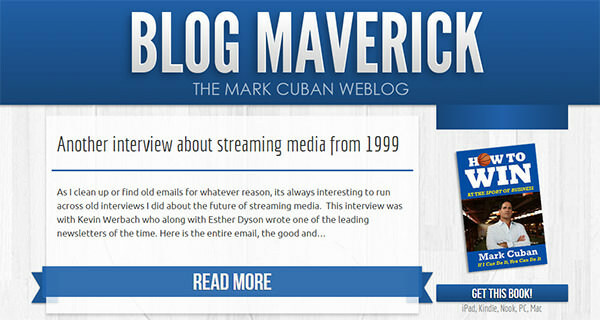 Mark Cuban, the chairman of HDTV cable network and owner of the Dallas Mavericks, regularly shares his insights at Blog Maverick. He writes about business strategy and management, how you can make things work better, as well as his views on the tech industry. He sometimes rants too (which is totally fun to read). If you want to have a peek of what some successful people spend their time on and how they think, read this. If you are thinking of starting a business by your own, you must start by reading a lot. Ideas are useless if your execution is poor. And no, you don’t need a business degree to become a successful entrepreneur. All you need to do is to read a lot, apply what you’ve learned, and remember to not give up. So, what is your favorite business blog?